Mrs Orwell is a play about George Orwell (Peter Hamilton Dyer) and his second wife Sonia Brownell (Cressida Bonas), a junior editor at the magazine, Horizon. It depicts an ailing literary great bedridden in hospital. He has a serious case of tuberculosis that has robbed him of his ability to write more novels. Brownell is a frequent visitor who after several weeks becomes the object of his desire and a marriage proposal later ensues. She learns that accepting his proposal would make her very wealthy woman and so makes the questionable decision of marrying an old, dying man. 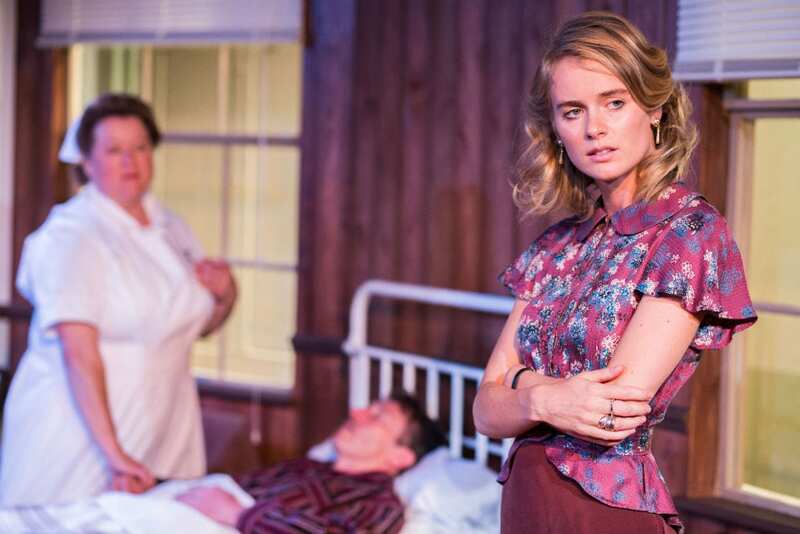 Cressida Bonas’ portrayal of Sonia Brownell is one of self – assurance, an opportunist in the making. Her gentle, feminine presence is somewhat deceiving, one almost falls for her lack of sincerity. Beneath the silks and tailored suits is a superficial individual seduced by nothing more than royalty figures and George Orwell’s legacy. She eventually cannot resist her longing for love and romance when she is nearly caught in the act with Lucien Freud (Edmund Digby Jones), a draughtsman who dutifully sketches Orwell in bed. Jones creates a sensual impersonation of a young Freud governed by visceral, animalistic urges verging on the hysterical. Dyer conjures Orwell’s eccentricities through heated exchanges with his publisher while slurping tea from a saucer. His coughing and shortness of breath gives a sad impression of a man who was once so great, now reduced to a shadow trapped in a sterile, hospital bed. All in all, Mrs Orwell depicts the brilliant mind of George Orwell despite the fact that his is slowly dying. His relationship with Sonia Brownell is intriguing and a pleasure to watch the unraveling of an opportunistic woman and a desperate man. 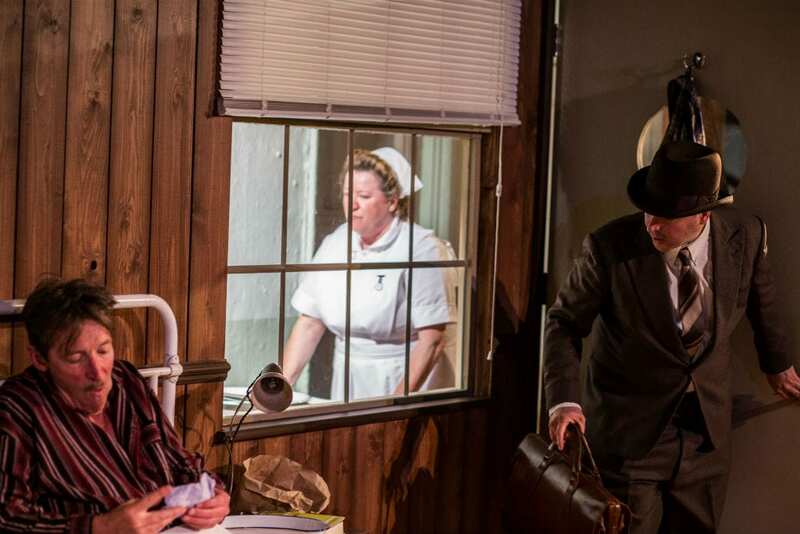 The script carefully weaves humor into Orwell’s suffering through his wonderful eccentricities and sharp wit that gives life to the play.